Selling your home can be a stressful matter. Do you repaint the entire interior of the house? Is replacing the counter tops really worth it? Will potential buyers like the color of the new siding? How the heck should the furniture be placed? These are all things you will ask yourself and all things each potential buyer will pay attention to. Before you really lose your mind, take a deep breathe. We are here to help. We did some digging on the best tips and tricks that every home seller should do if they want to have a smooth sale of their home. From maximizing storage to remodeling, we have you covered. Curb appeal, curb appeal, curb appeal – People are judging your home before they even step foot inside. Making sure the exterior of your home looks just as flawless as the inside is extremely important. Double check that gardens are kept up, the lawn is mowed, siding and windows are clean, side walk is cleared and your front door looks immaculate. Did we mention curb appeal is really important? Price your home correctly – After finding out what your home is worth, take 15 to 20 percent off of that and that is your listing price. This sounds risky and a lot of home sellers don’t have the courage to do it, but it can be beneficial to you. 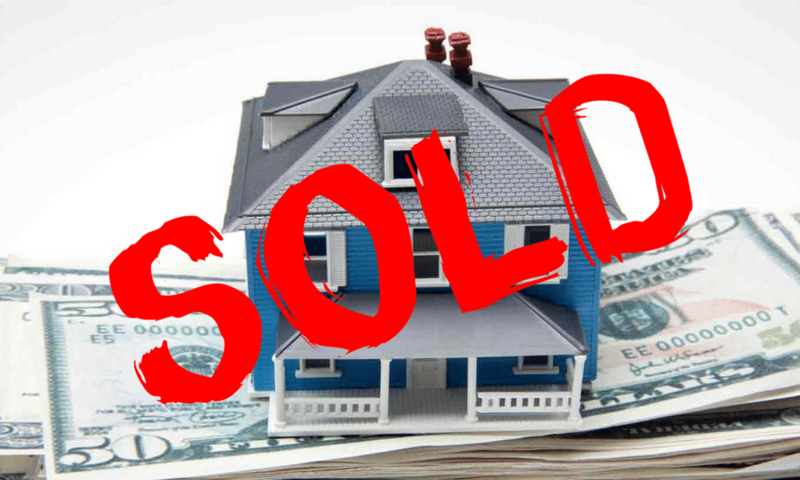 You will receive several offers and more often than not, bidders will offer more than what your home is worth. That means more money in your pocket. People want storage – Storage is a huge selling point. To emphasize the amount of storage your home has, empty your closets by half and organize what is left. You should also organize your cabinets and drawers. People are snoops and will check every storage space there is to measure what they can fit. It’s all about the kitchen – Upgrading your kitchen is the best thing you can do if you want to sell your home. Plus, by remodeling your kitchen you can get up to 85 percent of your money back. The kitchen, as they say, is the heart of every home and making sure yours is just that will sell your home. Depersonalize your home – People aren’t looking at your home to see how you live, they want to be able to picture themselves living there. Remove all photos, sentimental pieces and memorabilia collections. If you have the finances, hiring a professional stager isn’t a horrible option either. Always be ready for a showing – Having your home ready for a showing at all times is key, but making sure YOU are always ready for a showing is even better. Declining a showing can turn away a potential buyer instantly, which what you don’t want. Always be ready. Hide the furry family members – Not all people are animals lovers and that is important to remember if you are an animal lover and trying to sell your home. Hide the dog toys and food trays, make sure fur is cleaned up and any odors are removed as best as possible. Animal lover or not, everyone is a potential buyer. Add a little light – Next to location, lighting is one of the most considered things to home buyers. Clean the windows, take down the drapes and upgrade those light bulbs. The more light the better. Huge upgrades aren’t always worth it – Other than remodeling the kitchen, don’t go too crazy when it comes to updates. Keep things simple and easy; add a fresh coat of paint, install newer light fixtures, updated the hardware on your cabinets and clean the grout between your tile. It’s the little things that will really help sell your home. Hire the right broker – So many times home sellers hire the wrong broker. Do your research and ask questions. Make sure you have a broker that is up to speed with the latest technology and takes advantage of all possible tools to sell your home. Having a broker that knows the ins and outs of your neighborhood is also going to help sell your house faster.